There's no denying you’ll rack up some travel ours on your way there, but Australia, and Sydney in particular, are especially worth the jetlag. For North Americans and Brits, Australia is truly on the other side of the world. 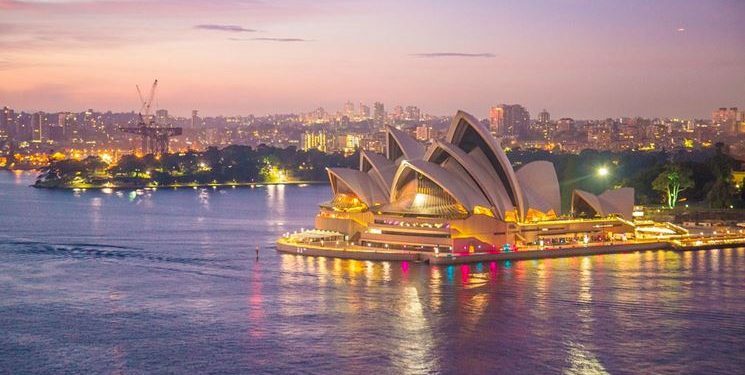 There’s no denying you’ll rack up some travel ours on your way there, but Australia, and Sydney in particular, are especially worth the jetlag. With some amazing beaches, world-famous restaurants, and other unforgettable experiences, you’ll wonder why it took you so long to travel to the capital of New South Wales. These are just a few reasons why Sydney should be your next travel destination. Many people take advantage of a Sydney rental by the sea and stay near the beach to get the most while they’re here. Keep in mind that the most famous beaches like Bondi and Manly are close to city centre and offer white sand and blue ocean. However, if you want to enjoy a more secluded beach experience, Avalon and Cronulla are quieter and offer a chance to lay back and relax. The Sydney Opera House is an architectural marvel and located on the Sydney Harbour. This is a World Heritage site and most people love taking their picture here. While the outside is spectacular, you also want to venture inside and get the full experience. Before you travel here, look up performances or other events occurring or sign up for a tour. Not literal rocks, the Rocks District is described as the birthplace of Australia. This was a settlement founded by Captain Phillip in 1788 and features colonial architecture and some more modern buildings as well. The area has adapted well to modern times and is both fun and historic. Stop by the visitor center in this area to pick up a map and then start exploring. Give yourself a few hours here to enjoy pubs and restaurants and browse the specialty shops. Australia has world-famous restaurants and chefs, so you’ll plan to plan at least one splurge meal while you’re here, especially in one of the country’s largest cities — Sydney. Two of the world-renowned restaurants include Bennelong and Quay but make sure that you have reservations as they fill up quickly! However, Sydney cuisine isn’t fussy. The fresh food markets are a great place to find breakfast or lunch on-the-go. Also, for a more budget-friendly option. Sydney has some fantastic Greek and Spanish restaurants. The Apollo and Bodega are more budget-friendly but should definitely be on your list. It’s a well-known fact that Australia was founded as a penal colony and they’ve come a long way but you can still enjoy a glimpse from the past. Once a rigid society with harsh rules, Fort Denison was built to be a prison but then become a fort to guard the harbour. 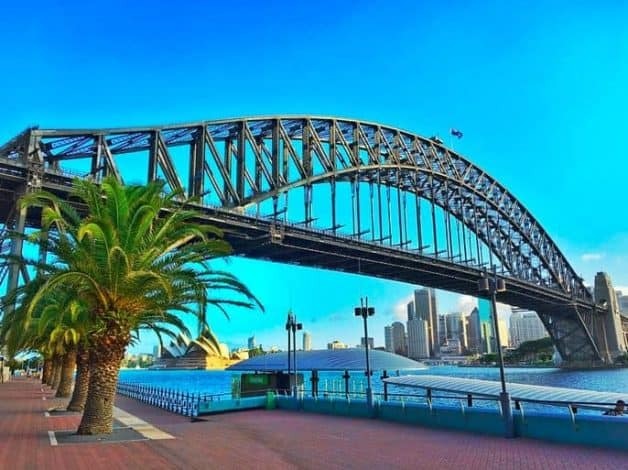 You can take the Fort Denison Ferry and explore this famous landmark. You’ll get a great view of the fort from the ferry and also enjoy a tour while you’re there. This is a must-do for anyone who enjoys history but it’s also fun for people of all ages. The number of museums and galleries in Sydney is overwhelming and you likely won’t have time to see them all. However, if you have time to only see one, then the Museum of Contemporary Art is your best choice. It features some of the world’s most interesting and engaging artists, many of them upcoming. You’ll also get some great views of the city while you’re there. Another museum that’s worth your time is The Australian Museum. This spot opened in 1857 although the exhibits are being updated constantly. It features topics such as Indigenous Australia, native animals, plants, and more. 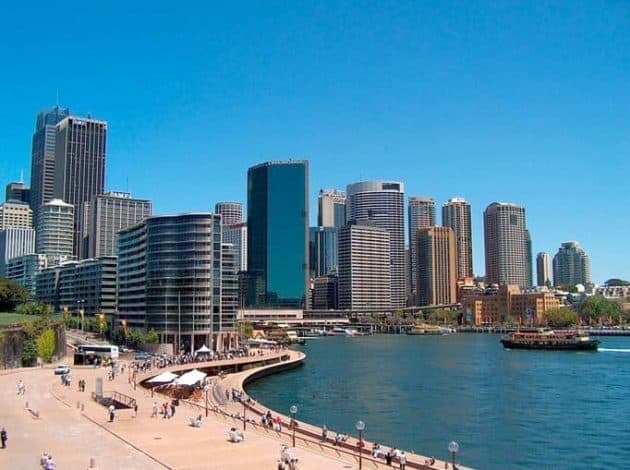 Consider this if traveling to Sydney with kids but it’s fun for people of all ages. You can find all types of stores in Sydney from high-brow to flea markets but they’re all exciting. One of the best places to start shopping is Paddington Markets which is open every Saturday. Here, you’ll find more than 150 stalls with jewelry, food, clothing, and almost anything else a person could want. If you’re looking for a more organized shopping experience, then you’ll want to visit the Queen Victoria Building. This is a 19th century building which houses more than 180 stores. You’ll find famous designers here as well as more common department stores. You can find some local designer shops though for a more enjoyable experience. These gardens were built in 1816 but are constantly being tended and updated to meet modern standards. Avid gardeners love the plants and designs featured here but they’re worth the trip even if you don’t have a green thumb. Here, you’ll find a diverse collection of plants, although expect to see the majority of them native to Australia and the South Pacific. The gardens are located between the business district and the harbour so it’s easy to walk through them in the morning or afternoon. Most people love the contrast between the bustling city and the tranquil gardens so it’s a great place to go when you’re tired of the crowds. The gardens are also large so you can spend as much or as little time as desired here. These are nine reasons why you should visit Sydney now, but you may be surprised to find more than this when you venture around the world to this city by the sea. Sydney is a large city with diverse culture, and it makes a perfect vacation destination for families, couples and single travelers. There’s no doubt this city should be on your bucket list.